Last year, Lovely Life (great blog! Especially Tant Johanna has a very nice taste) pictured the home of Cattis. 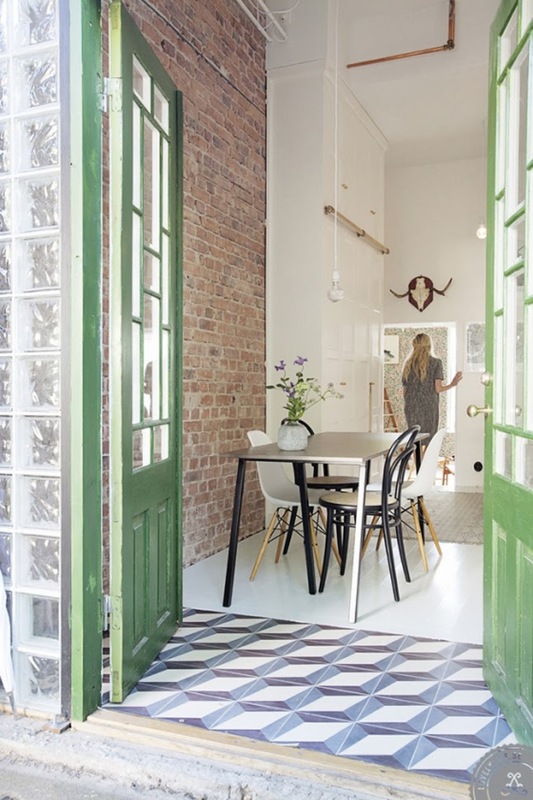 I keep stumbling up on photo's of this home on Pinterest and always fall in love with the entry again. 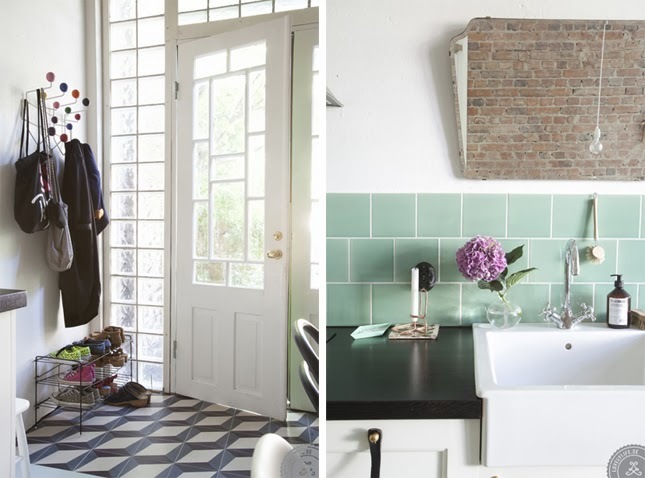 It's such a great combination of Escher tiles, brick walls and accessories. 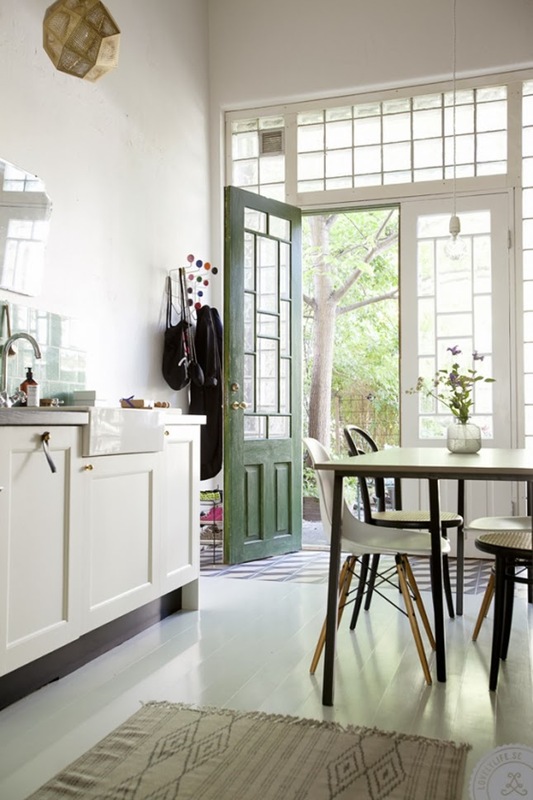 For me, this home is one of the few original interiors that's filled with old and new things, but stays unique in the combination of things. Find all photo's and the interview with Cattis here and take a peak at her blog.